Flat Rate Shuttle Bus Service between Hamilton Airport and Toronto is available all year round. The Shuttle Bus can be chartered at anytime if booked 24 hours in advance. We offer 3 vehicle sizes. Our 14 Passenger shuttle buses can be configured to accommodate 14 Passengers with 7 pieces of small luggage, or 10 passengers with 10 pieces of large luggage. Our 24 Passenger shuttle buses can be accommodate 24 Passengers with 24 pieces of small luggage and small carry-on. Our 28 Passenger shuttle buses can be accommodate 28 Passengers with 28 pieces of small luggage and small carry-on. This is useful if our driver has difficulty finding you. We will monitor flight for delays. The Hamilton Airport Shuttle Bus is operated by King Shuttle. 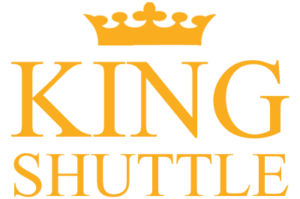 King Shuttle is owned by King Tours and Limousine Service Inc of Toronto Canada. All relevant Shuttle Bus and Flat Rate Airport transfer information can be found on this website. If you have any questions or concerns please email us at reservation@hamiltonairportshuttle.ca. We strive to respond within 24 hours. If you need to contact us immediately, please call the telephone number on your bus ticket. Are other pick-up times available? No. Please re-visit this website for updated times. Please help us make this Shuttle Bus service convenient for you. Your answer will help us allocate our resources to the the city with the most demand. I give consent to receive coupon offers and promotional information based on my survey results.